* Total number of reviews and star-ratings are based on data collected during the time period Peters Heating and Air Conditioning - Hamilton has been using the ReviewBuzz system and may not directly match the data found on each public review site. 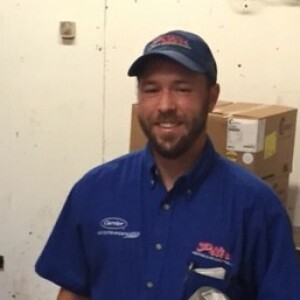 Got quick service and a very efficient and honest technician when Chad Davis worked on his a/c. The service I received was outstanding from my visit to the office to the final repairs one by Chad (Davis). I commend you for great customer relations and expedite service! Nathan is always courteous and friendly. He always does his very best and is thorough and cleans up. She was very pleased with the service Nathan provided when he performed her general service. Christine Lapka-Froom from Macomb wrote â€˜ I always feel like the company cares. Thank you.â€™ Jason Glover replaced the air coil on her water furnace and the blower on her fireplace. Ruby Mitchell from Keokuk called in to say Jason Glover did an excellent job working on her A/C. She said she was very impressed with him and highly recommended him as an employee. She said he has a great attitude and is a great asset to our company. She said Jason has restored her faith in Peterâ€™s and her A/C is working better than ever! She requested him to run all her service calls in the future. 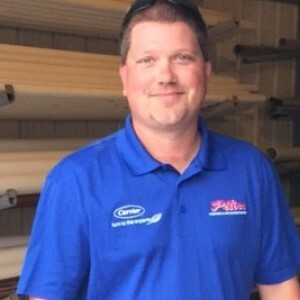 Customer service is always a top priority at Peters Heating and Air Conditioning - Hamilton. Our BBB Membership rating is like a badge of honor as we continuously strive to provide the best experience for our clients.